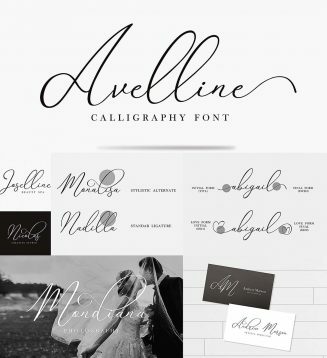 Avelline is modern calligraphy font. This is awesome for your project, classy signature, photography signature, beautiful quotes, cosmetic branding, or any beautiful design project. Tags: calligraphy, classy, elegant font, logo font, modern calligraphy, script, signature font, wedding font.